Meet the T95/FV4201 Chieftain – the British heavy tank! Already in January 2019, in the event “Soldiers of Fortune” a new British reward tank will be introduced. 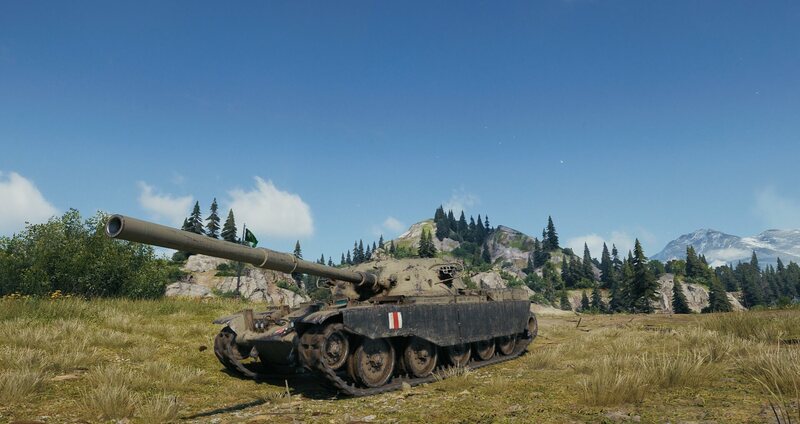 Meet the T95/FV4201 Chieftain, a status Tier X Heavy vehicle with an incredibly solid turret, well-sloped armour a menacing gun with a decent Alpha hit! A great reward for any Сommander, isn’t it? The Arms Race event, which took place on the Global Map this year, clearly demonstrated that the clan commanders obtained a challenging, but flexible tool to compete for leadership in the events. But for regular clan players, the quantity and quality of rewards earned in the game has almost not changed. It took a lot of thought on how to reward clan players, and we came to the conclusion that you should determine your own rewards! During this event, clan players will be able to more influence the earnings for participating in battles on the Global Map, as well as to decide what rewards to spend them on. I hope we’ll get the OG Cheiftain… oh who am I kidding, Wargaming won’t ever oblige us fans. Unique and unobtainable by any way, except for the clan wars almost 1 percent player base. What’s wrong with this? Nice for the clans, toxic to numerous peasants who have to go to work, have a family, and can’t spend many hours to earn it. Clan wars players should be rewarded, but the situation today stinks. It meant to be a reward for the competitive ayerbase. The people who take this game seriously. Not the people who pub this game 100% of the time. Meanwhile in the swamps of Troll-Land, Roboplebs MoE’d this tank already.